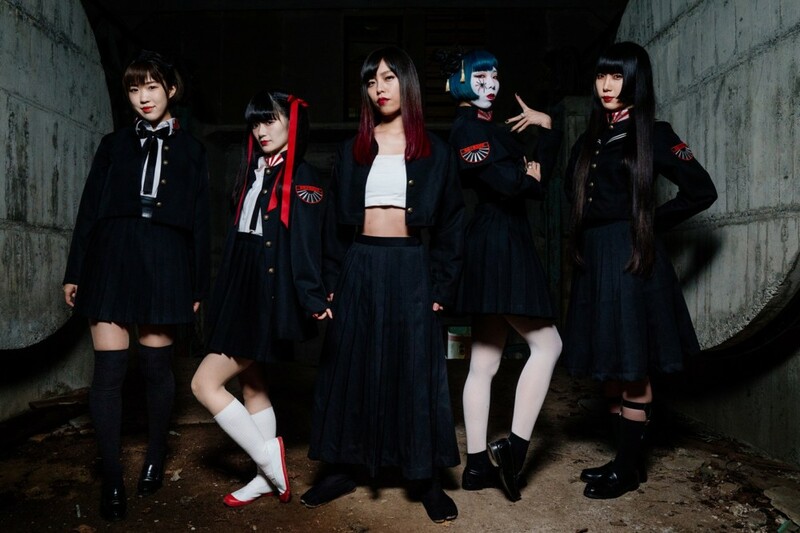 NECRONOMIDOL is an ultradark Tokyo-based Japanese idol unit. choreography and performance have blackened stages all across Japan. NECRONOMIDOL’s Youtube channel has over 1000 subscribers and the music video for Atai no Tsumeato has over 30,000 hits. 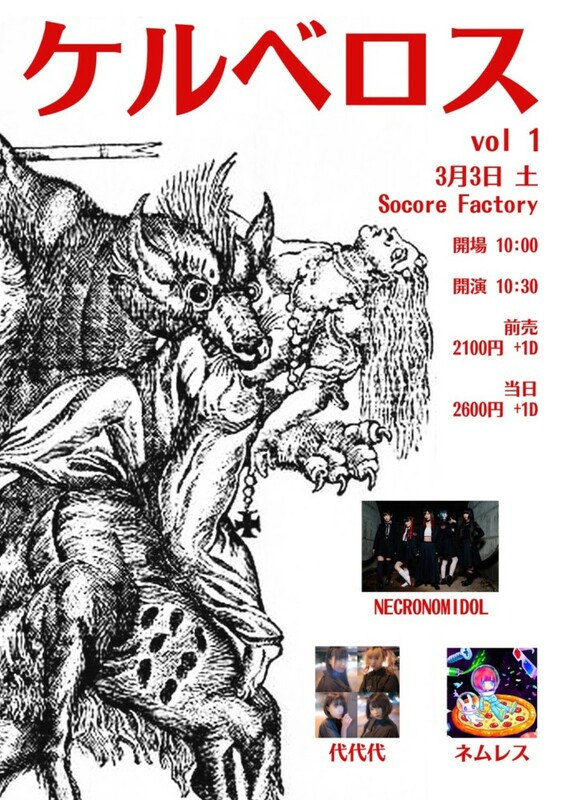 Formed in March, 2014 NECRONOMIDOL played their first show at the legendary Muryoku Muzenji on June 30, 2014. 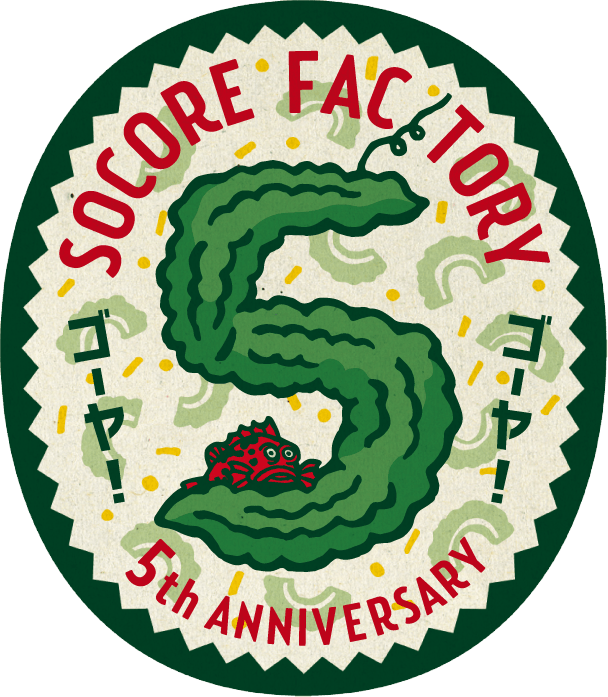 NECRONOMIDOL’s first one-man show was played on November 1, 2014 at Sound Studio DOM, their second one-man show was held on June 30, 2015 at Shinjuku LOFT and their third one-man show was held on December 14, 2015 at Shibuya WWW. 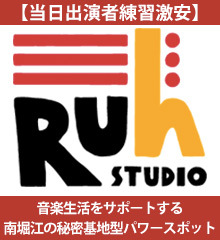 They will hold their fourth one-man show on June 30, 2016 at Ebisu Liquidroom. NECRONOMIDOL played their first international show in September of 2015 in Taiwan and completed a tour of New Caledonia in April, 2016.